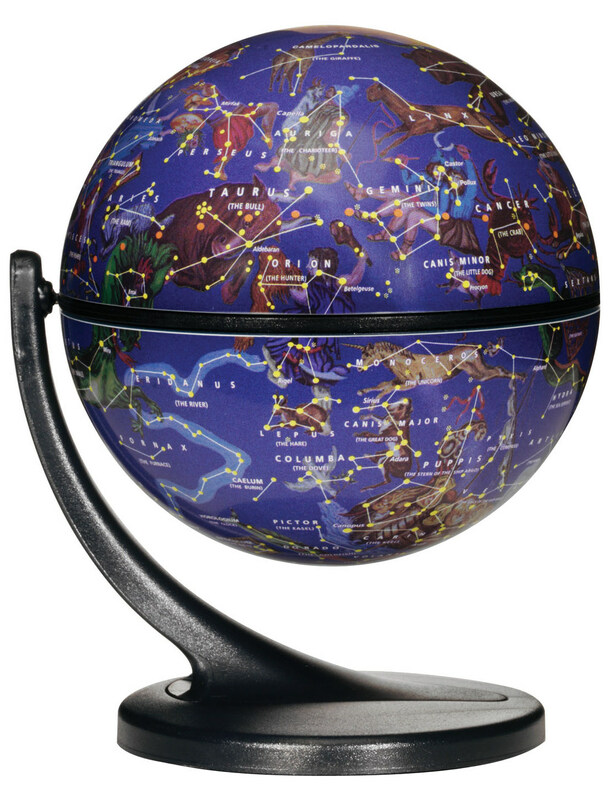 This globe, featuring stars, constellations, and celestial images, offers a two-axis rotation that distinguishes the Wonder Globe series. 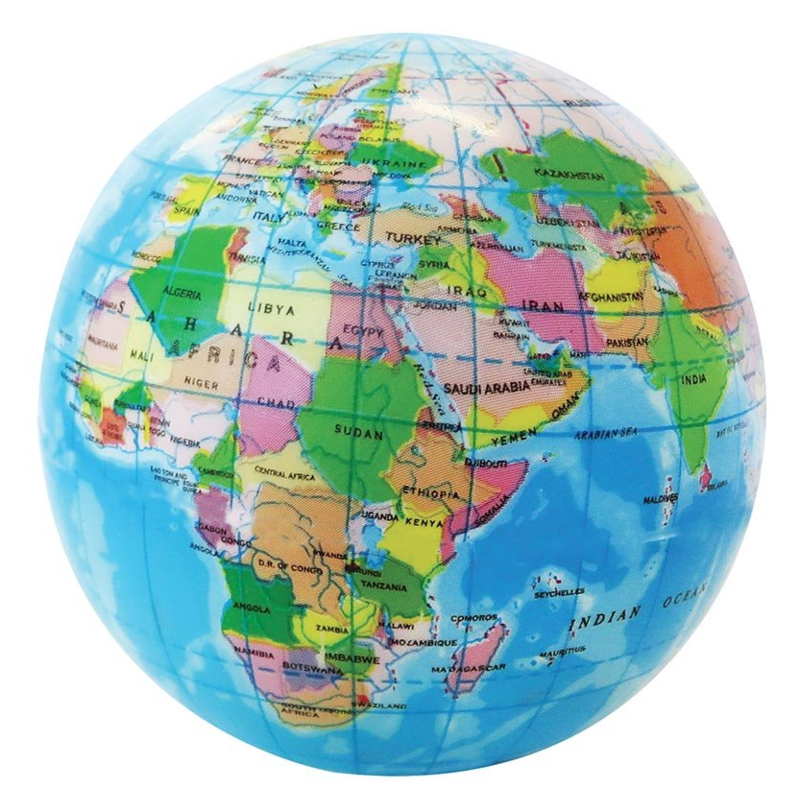 Identify lunar surface features such as craters, seas, rilles, valleys, and mountain ranges, and even spot sites of manned and unmanned moon landings. 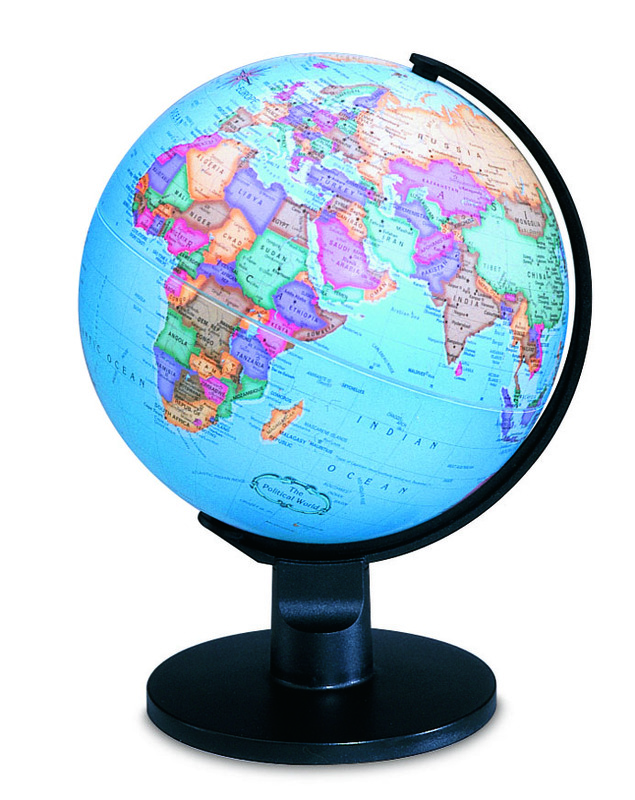 This blue political illuminated globe runs on 2 AA batteries. 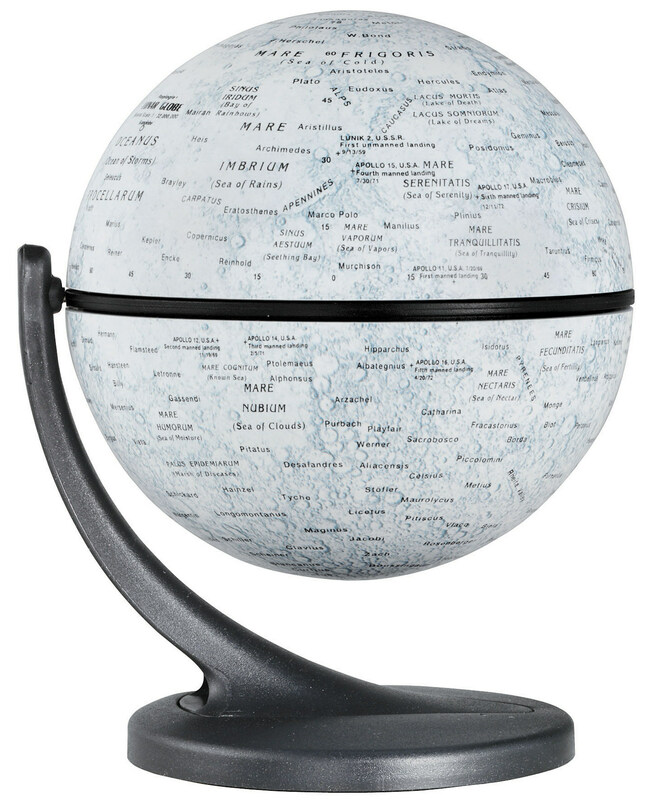 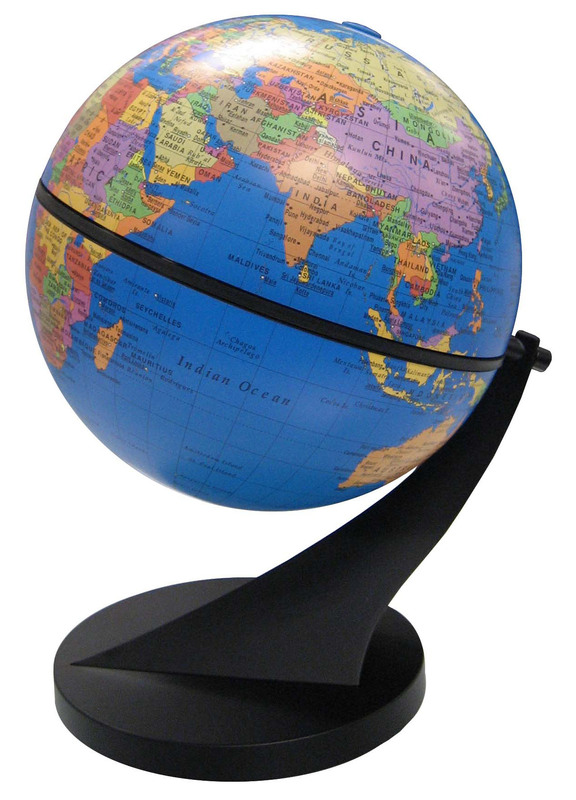 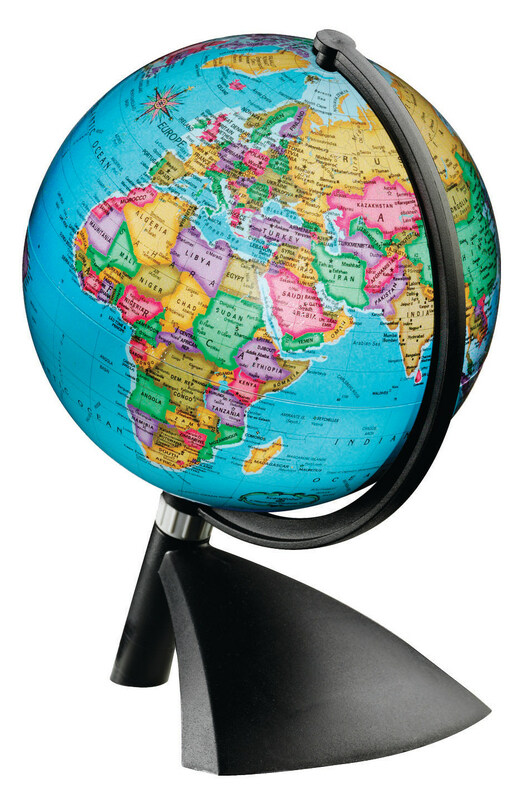 This blue-ocean political globe with plastic black base will stimulate a child's imagination while playing an educational role. 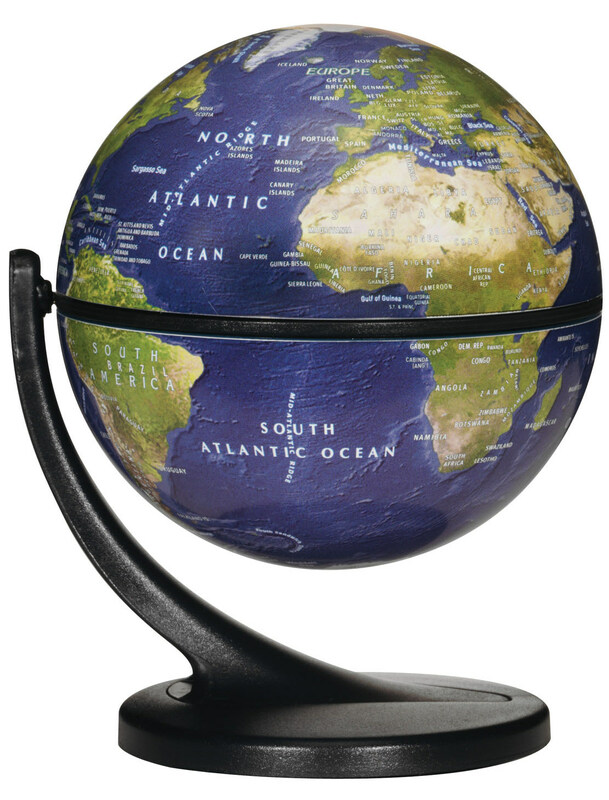 This stress globe is very tactile and begs to be squeezed. 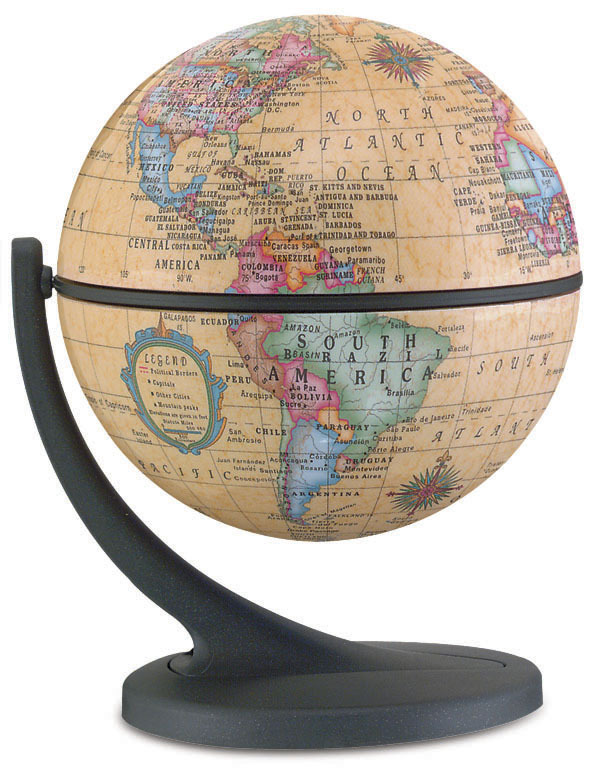 Great for relieving tension as well as educational.